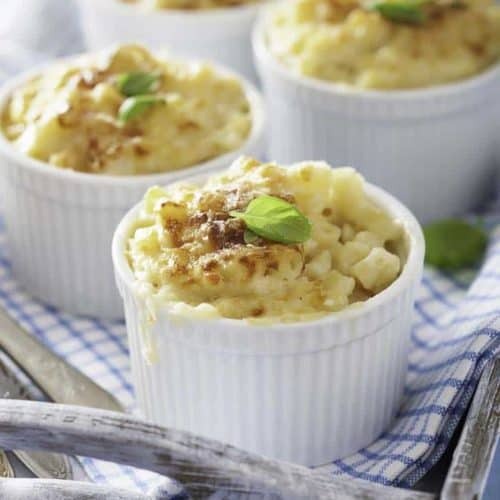 Home » Casserole Recipes » Martha Stewart Macaroni and Cheese – not only is she a domestic goddess, she can make delicious macaroni and cheese. 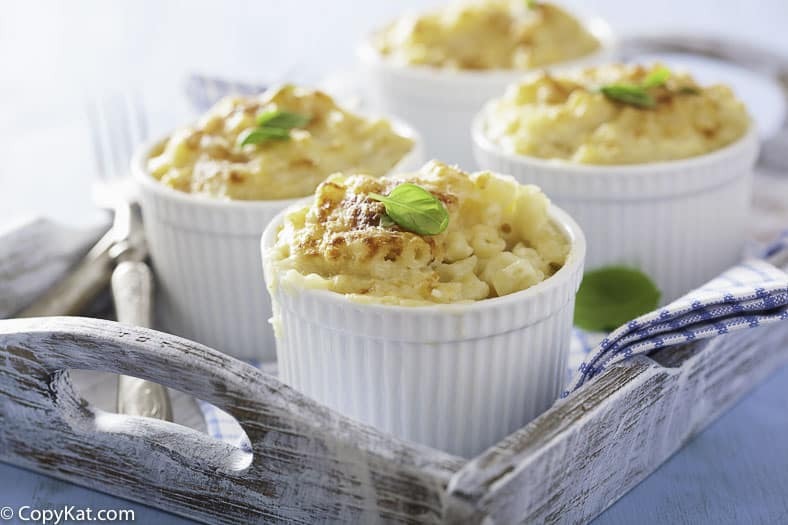 You can make this multi-cheese macaroni and cheese inspired by Martha Stewart. Heat oven to 375°. Butter a 3-quart casserole dish; set aside. Place bread in a medium bowl. In a small saucepan over medium heat, melt 2 tablespoons butter. Pour butter into the bowl with bread, and toss. Set breadcrumbs aside. In a medium saucepan set over medium heat, heat milk. Melt remaining 6 tablespoons butter in a high-sided skillet over medium heat. When butter bubbles, add flour. Cook, whisking, 1 minute. While whisking, slowly pour in hot milk. Different brands of macaroni cook at different rates; be sure to read the instructions.) Transfer macaroni to a colander, rinse under cold running water and drain well. Stir macaroni into the reserved cheese sauce. Pour mixture into prepared dish. 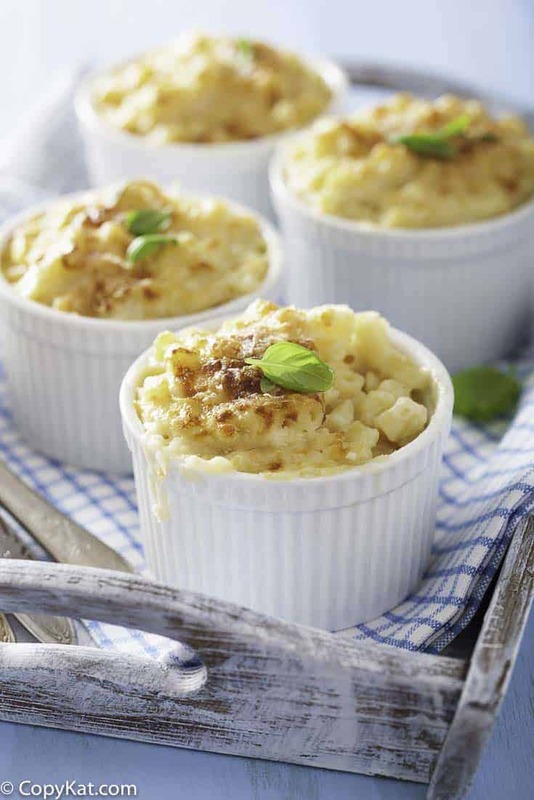 Sprinkle remaining 1 1/2 cups cheddar cheese, 1/2 cup Gruyere or 1/4 cup Pecorino Romano, and breadcrumbs over top. Bake until browned on top, about 30 minutes. Transfer dish to a wire rack to cool 5 minutes; serve hot. I love Macaroni and Cheese and so does my husband. I have a family friend that makes it for every holiday. I gave her this recipe and they love it!